"... in Europe we’re blessed with many wonderful makers producing innovative and beautiful (and often expensive) pens in small numbers. They don’t advertise; word spreads only at pen shows, on FPN, and on Instagram — so it’s easy to miss them." "... look at those designs. 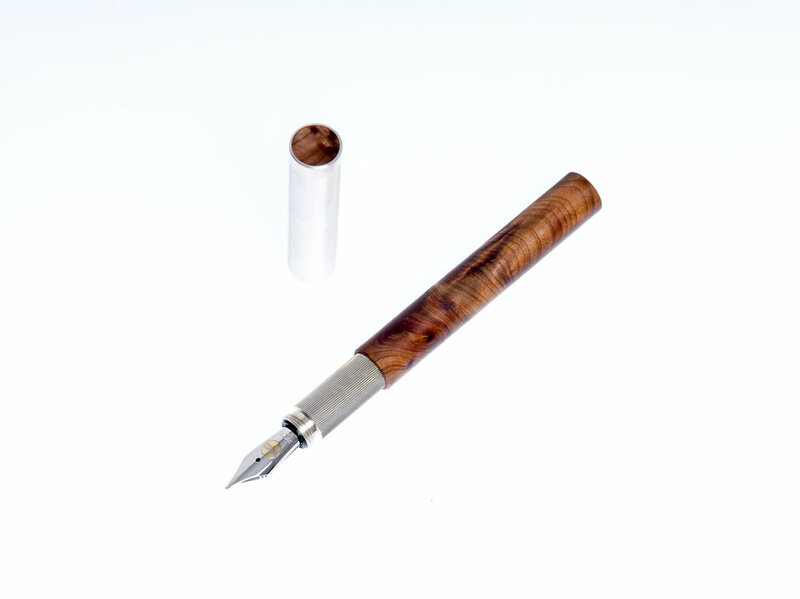 For 2,000 euros a pen you get a harmonious blend of textured metal and polished wood, and an 18k Jowo #6. I am utterly in love. Next time I am in Hamburg, I’m going to visit and drool."